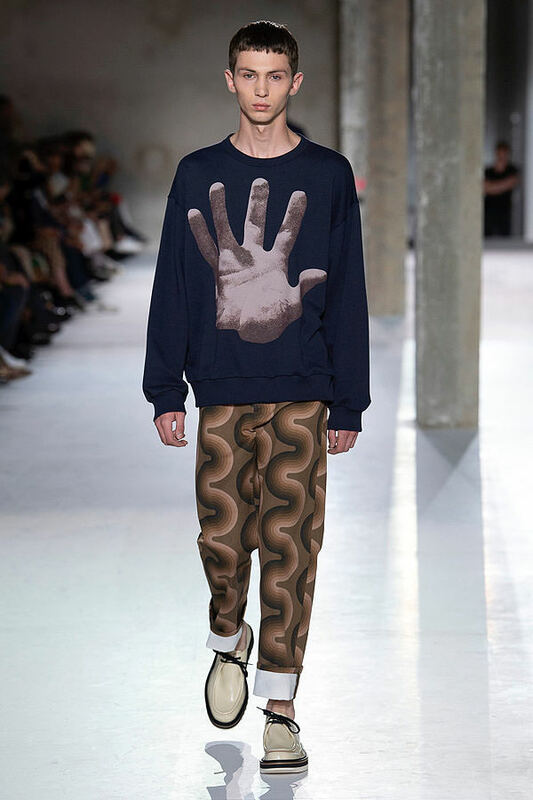 The prints, and their subtle handling were spectacular. 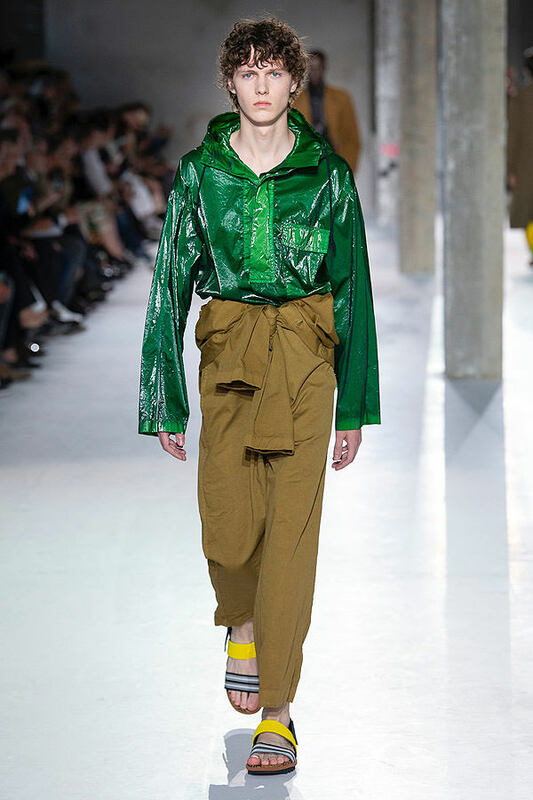 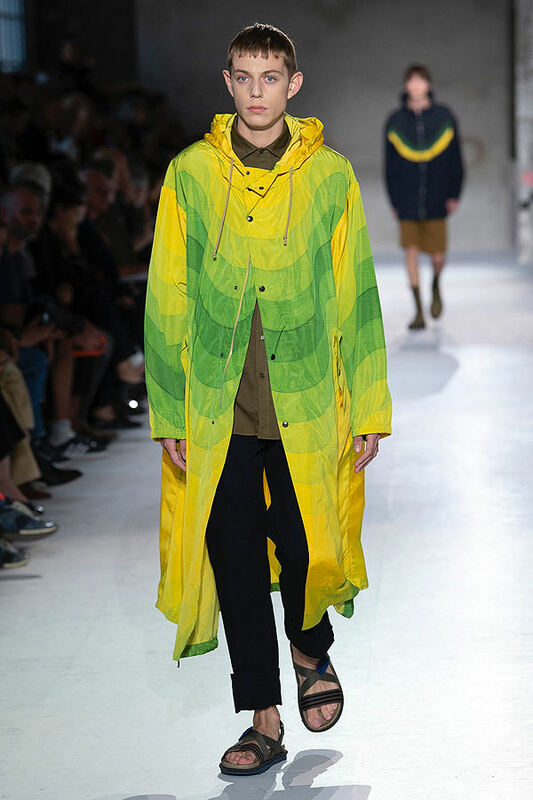 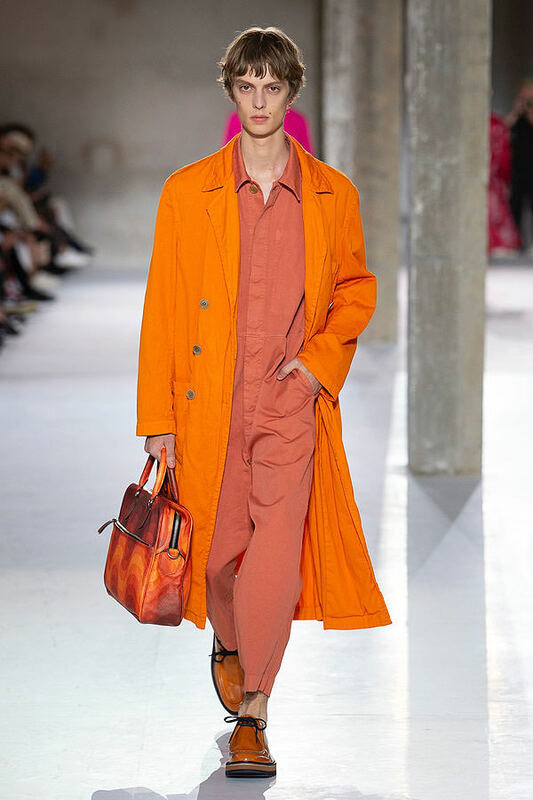 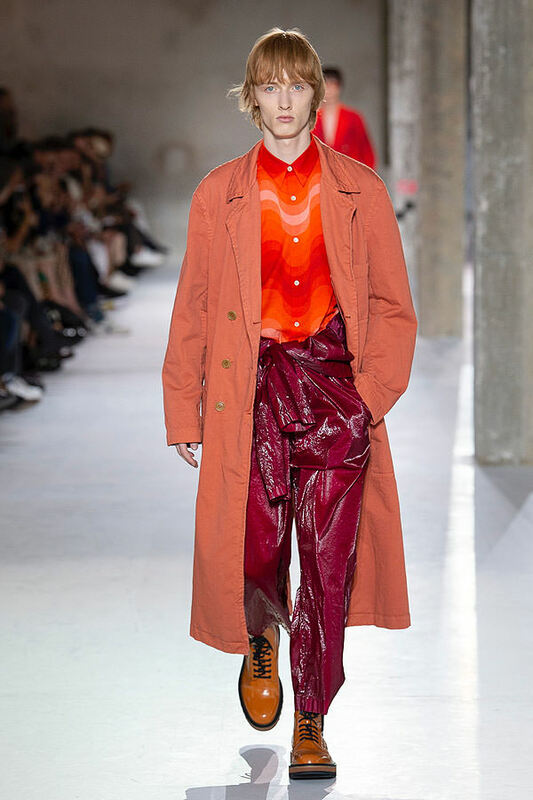 Van Noten is known as a master colorist himself, so to see the two forces together was a joy to behold. 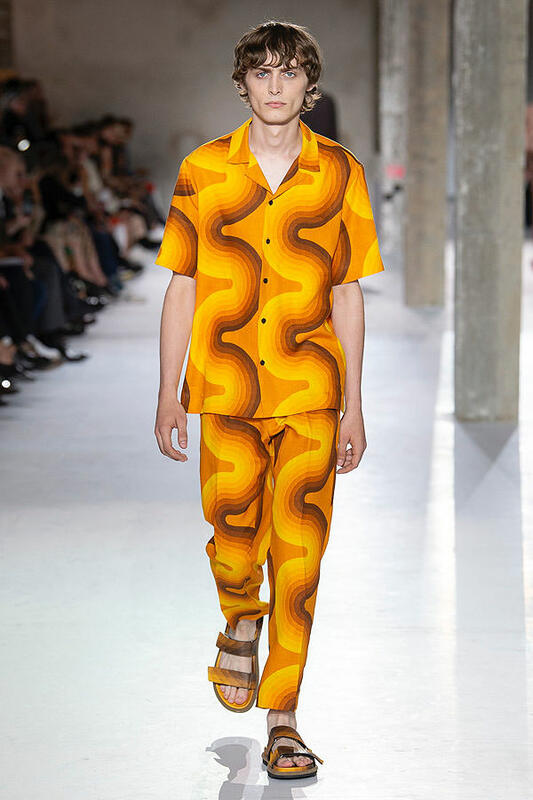 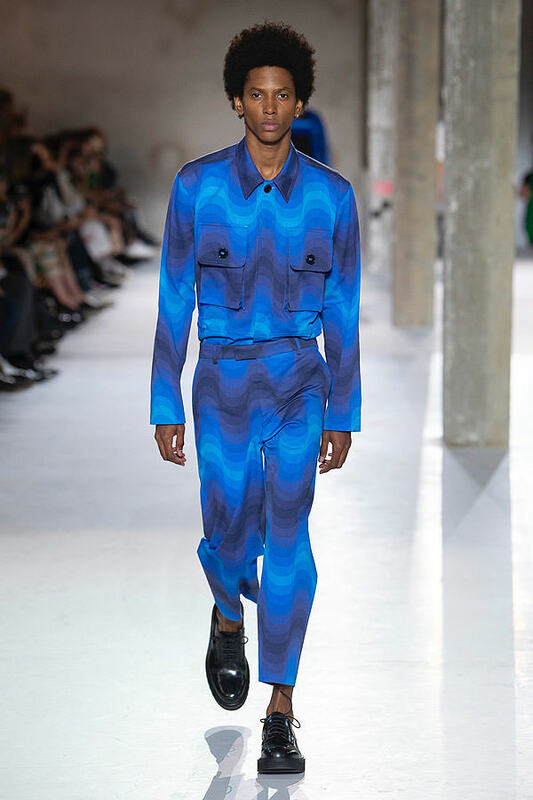 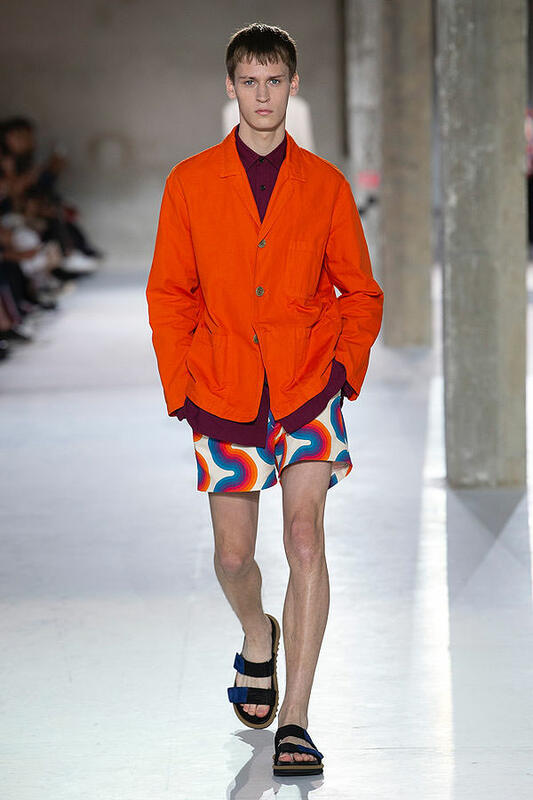 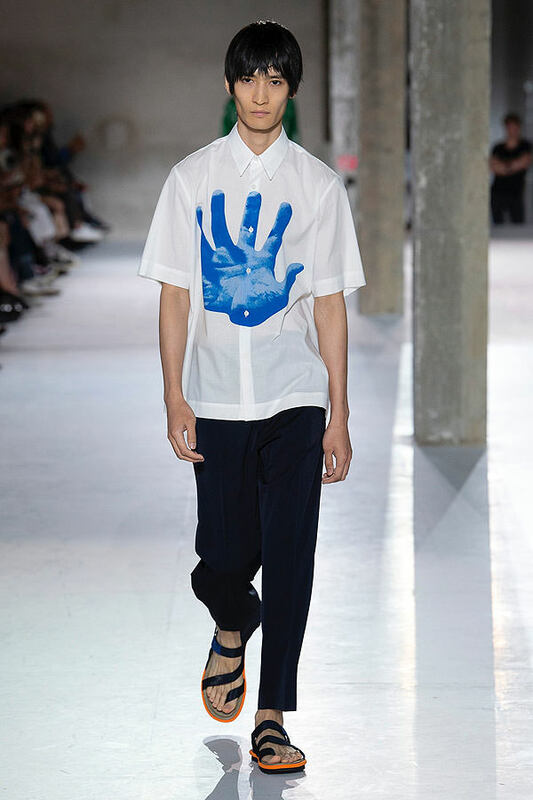 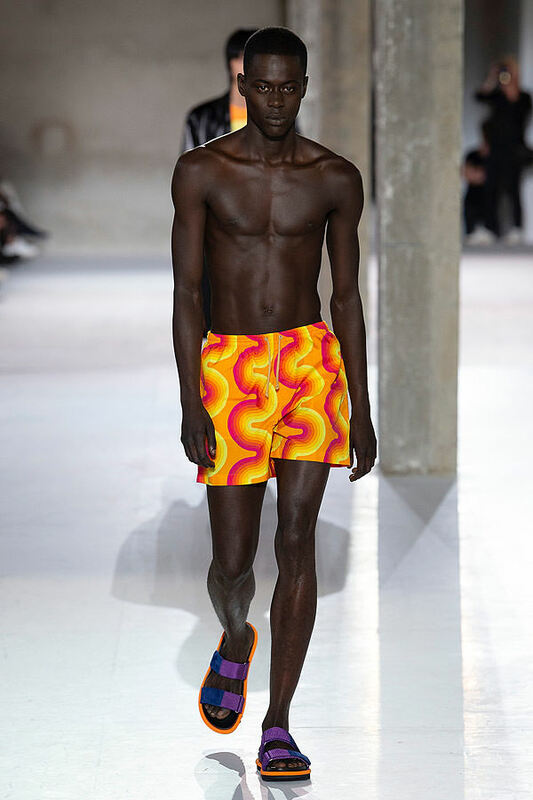 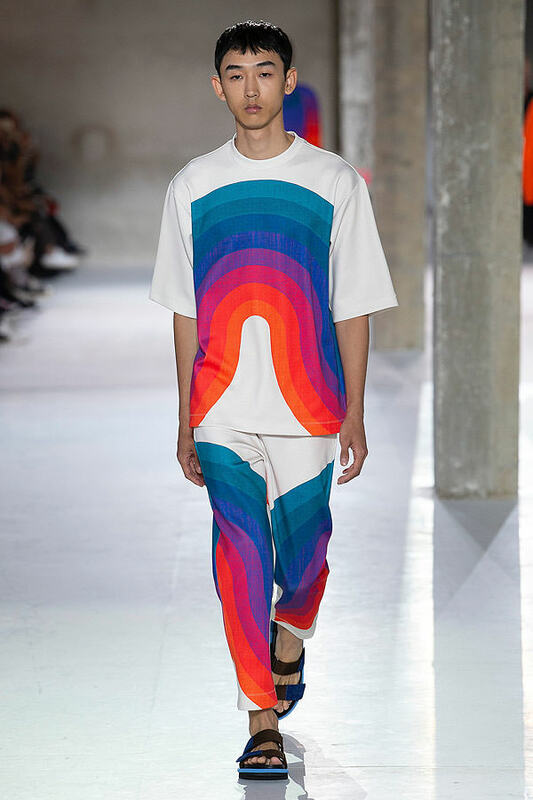 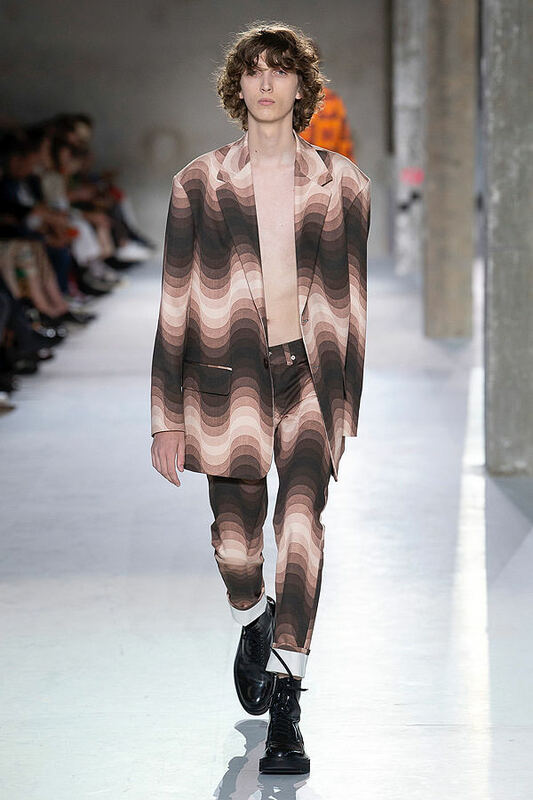 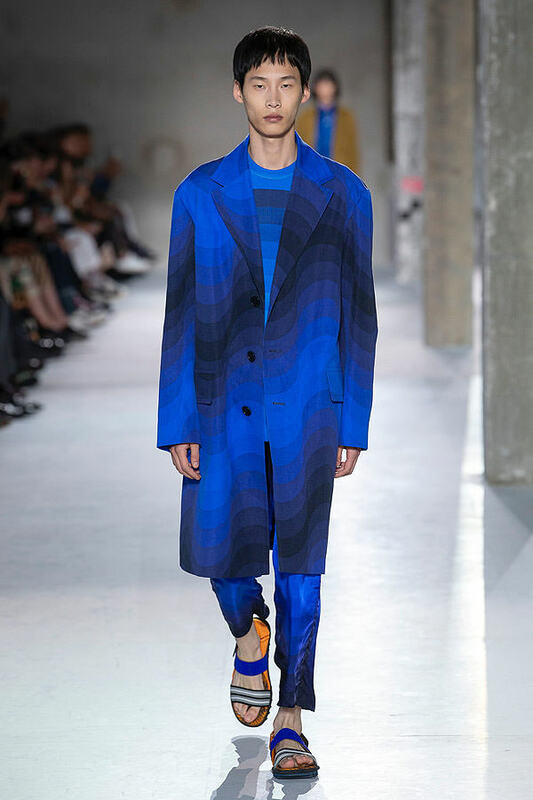 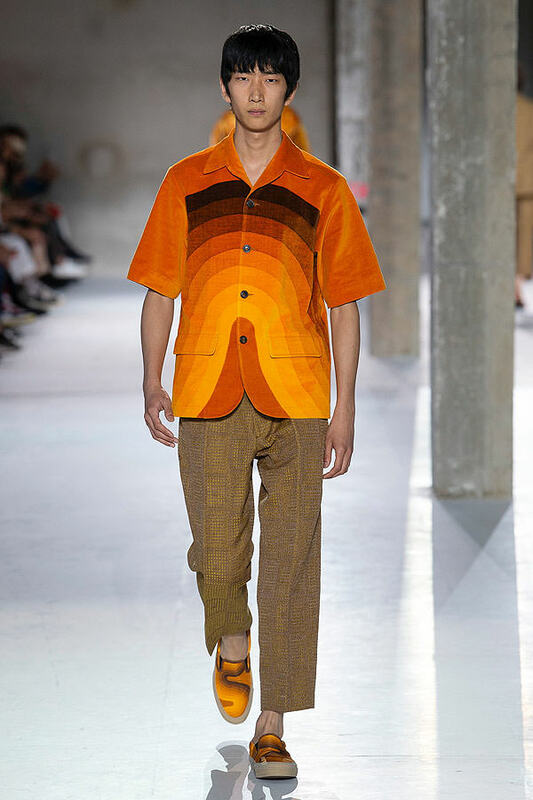 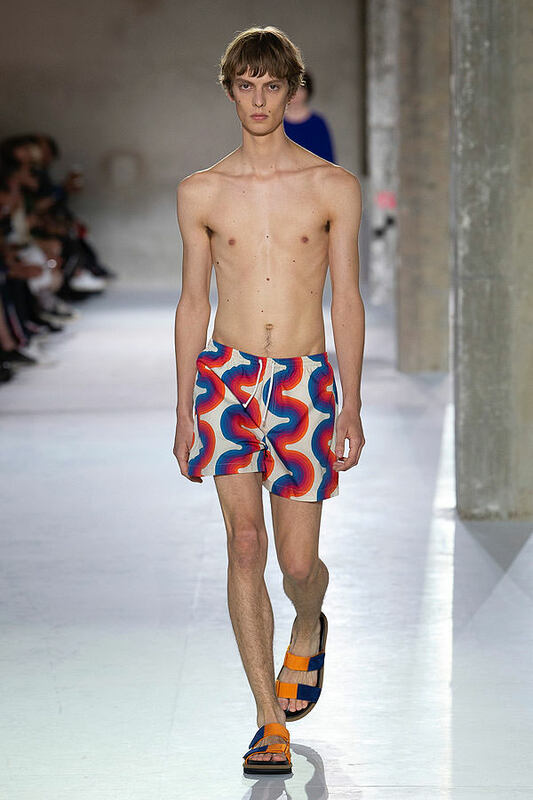 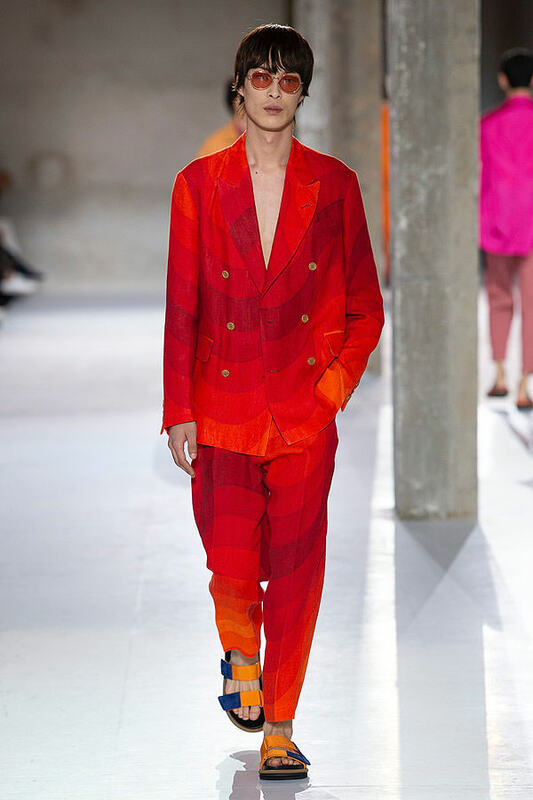 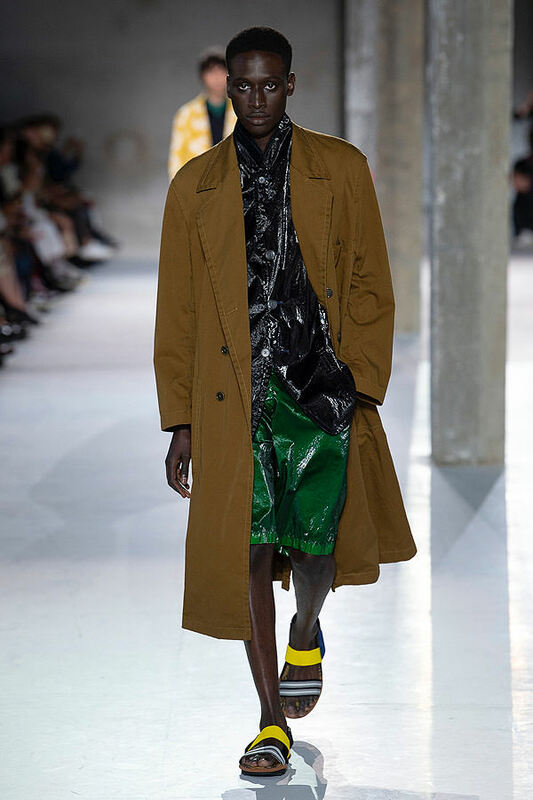 His clever decision to apply the prints to more masculine workwear, tailoring and sportswear fabrics, made the saturated color all the more wearable and in turn more desirable. 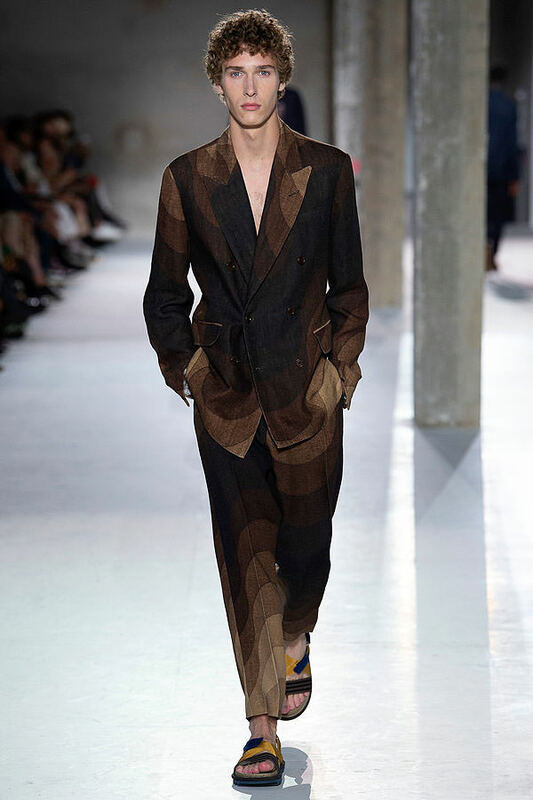 Who would have imagined that a fabric designed for a sofa in the 60s could be so perfect for a linen day suit? 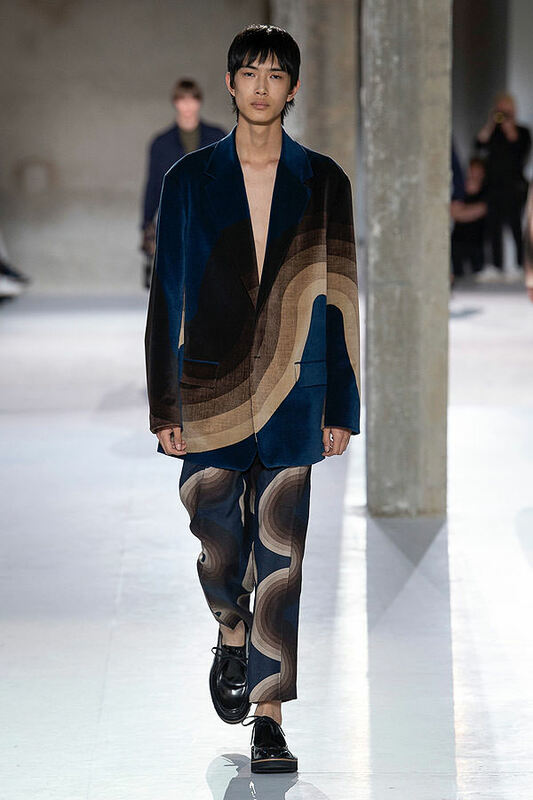 Only Van Noten. 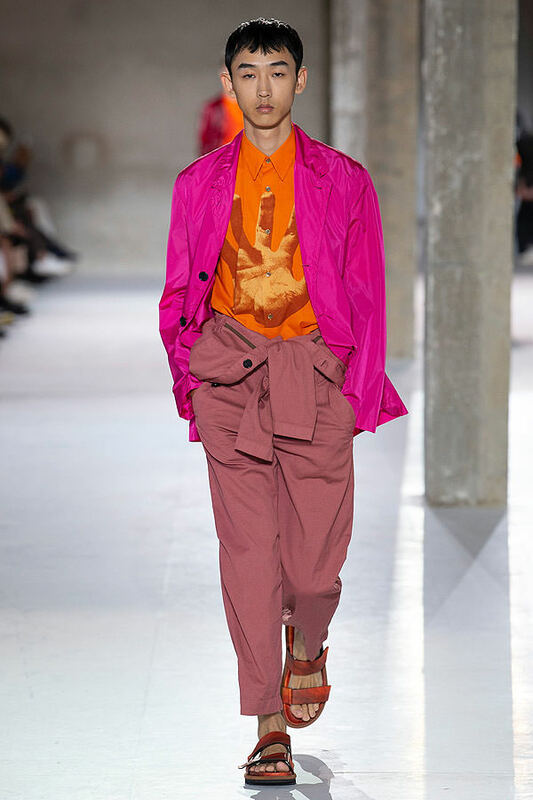 The tracksuit bottoms were to die for, injecting a sartorial elegance into what is essentially basic streetwear. 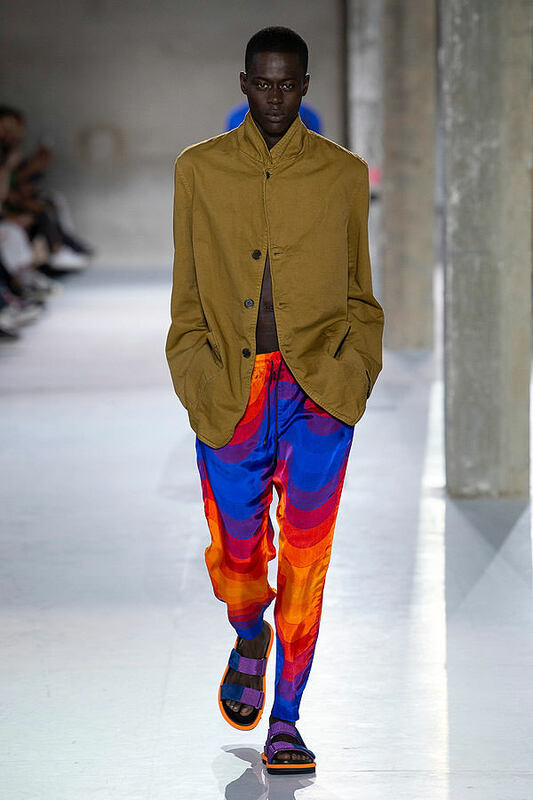 These tracksuit bottoms can be worn formally, and undoubtedly will be — a feat that Van Noten pulls off with total calm, something his legion of loyal supporters know all too well. 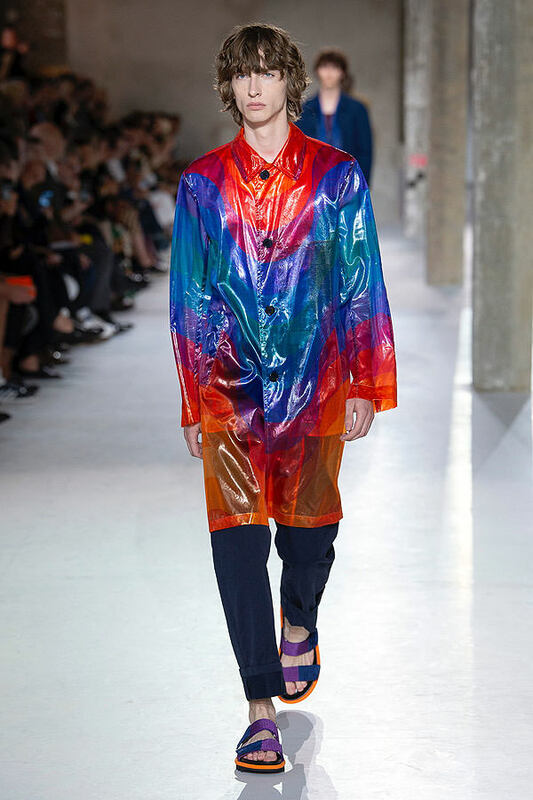 The super-light nylons used in outerwear parkas, shirting and a full boiler suit embodied the futuristic use of industrial materials that Panton was famed for, and felt like something we’ve never seen before. 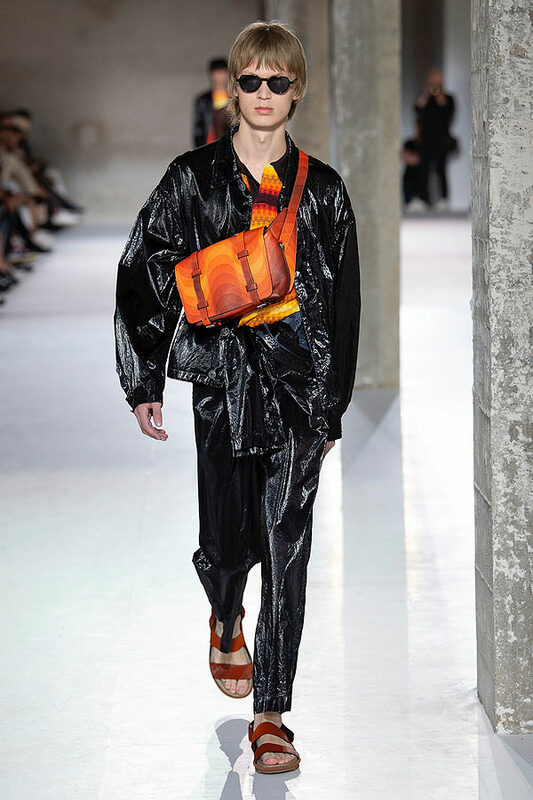 Van Noten was in a truly positive mood, and his own optimism for the future was contagious, with everyone smiling after a triumphant show. 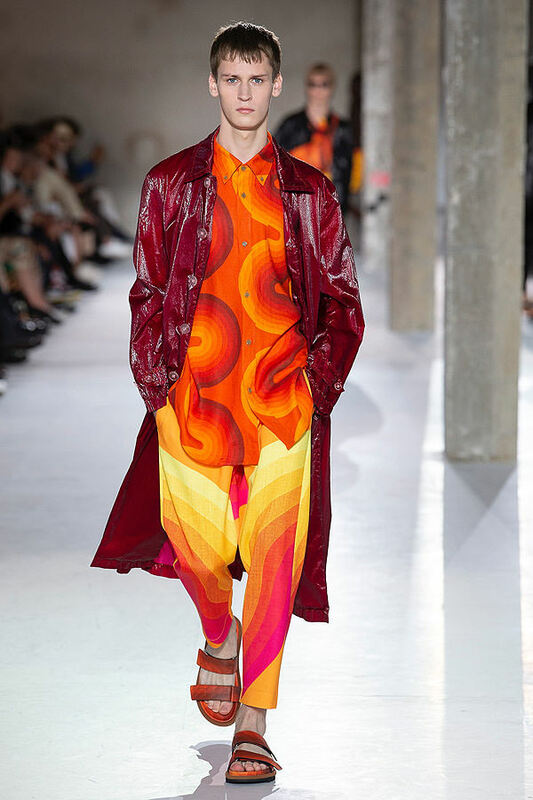 The atmosphere backstage afterwards was jubilant with an installation of Panton’s interior images blown up large-scale, so much so that dancing broke out in between the racks!